When clients seek solutions, Lee Hollis delivers. Over the course of 25+ years of practice, Lee Hollis has learned how to be trial tough and solution savvy. Clients come to Lee because he is a problem-solver. Some of those problems can be solved through negotiation; others require motions, trials and appeals. Lee works with clients to determine their goals for each matter and develops a strategy to achieve them in the most efficient manner. After successfully trying numerous product liability, personal injury and commercial cases to verdict and resolving countless more through motion practice or settlement in jurisdictions across the country, Lee has learned that if a client wants to settle a case short of trial, the best way to achieve the most favorable settlement is to be represented by an attorney with the experience, reputation and ability to take the case to trial. A credible trial threat gives the client a stronger position in settlement negotiations and the ability to take the case to trial when it can’t be resolved. Too often, clients hire litigators who are happy to work a case up and settle it. When opposing counsel knows that attorney can’t or won’t try the case, they use that to extract a higher settlement or to obtain a large verdict at trial. The best way to prevent that situation is to hire a lawyer who is ready, willing and able to try the case if necessary. Lee uses that trial tough and solution savvy experience to put together the right team with the right experience and skill set needed for each case. That approach gives him leverage to negotiate favorable results for the client. But when negotiations fail, he is ready to take the case to trial and, if necessary, appeal. Lee cares about winning as much as — or more than— his clients. He brings a creative approach that ensures that his client’s message is heard, and he leaves everything on the field. Lee has always been very involved in the firm, having served as the chair of the Recruiting Committee for many years. He currently serves as a member of Lightfoot’s Executive Committee and chairs the Marketing and Business Development Committee. 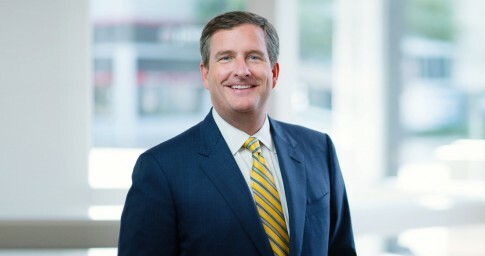 Lee has been the firm’s longtime representative in the Network of Trial Law Firms, where he has served as secretary, treasurer, vice-chair and chair, and led the organization through a successful nationwide search for a new executive director. Lee is a member of the International Association of Defense Counsel, the Defense Research Institute (DRI) and the Alabama Defense Lawyers Association (ADLA), where he served as co-chair of the ADLA Trial Academy for two years. Lee is a member of St. Stephen’s Episcopal Church and the Tocqueville Society of The United Way of Central Alabama. He has an amazing wife, Katie, and three wonderful children who, unfortunately, inherited their father’s lawyering/negotiating skills at a very young age. In his free time, Lee enjoys hunting, college football, golf and scuba diving. Winning a $70 million jury verdict on behalf of a major chemical manufacturer in a breach of contract case. Winning a defense verdict in a Mississippi federal court trial involving 15 deaths and 15 injuries arising out of a bus crash. The win was achieved despite sanctions imposed before Lightfoot was retained that severely restricted the arguments the defense was allowed to make. Defeating class certification and ultimately winning summary judgment on behalf of a Fortune 100 company in Louisiana state court action arising out of allegedly infected endoscopes. Bringing a successful breach of contract case arising out of defective modifications to three Boeing 737-300 aircraft on behalf of a Swedish air carrier. Winning a defense verdict in a wrongful death product liability case involving a tractor rollover. Winning a defense verdict in a wrongful death product liability case involving a fall from a work platform on a utility pole. Trying, and ultimately settling, a double wrongful death case on behalf of a road builder to a hung jury in a county that had not had a defense verdict in a civil case in 20 years. Under those circumstances, the client considered the hung jury a win. Serving on one of five designated trial teams for a Fortune 100 company in nationwide pharmaceutical litigation. Serving as national coordinating counsel, handling cases throughout the country, for the nation’s largest biomedical services company. Defending a Fortune 100 pharmaceutical company in a birth defect case. Defending multiple automobile manufacturers in dealer litigation.